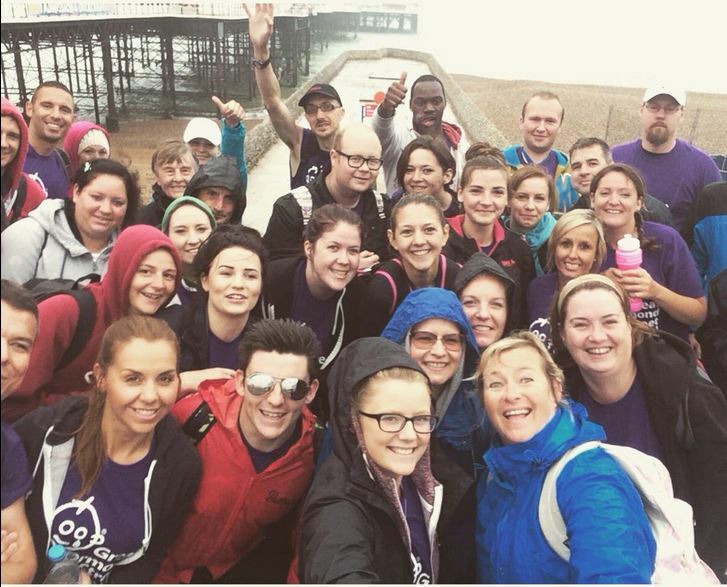 The team left bright and early at 7.30am from Brighton Pier and promptly headed west along the seafront. 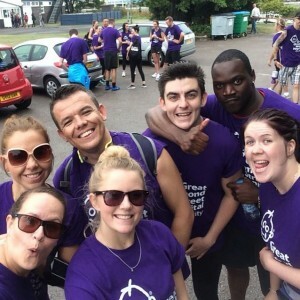 As the day started we worked out between the 37 of us we had raised a massive £3885 for GOSH. The weather started off poorly, with rain and a chill in the air. By 8.56am we hit the ‘Welcome to West Sussex’ sign in Southwick! We knew we would be taking our first quick break in Shoreham which was around an hour away. Luckily the rain had stopped and the whole team were feeling really positive. By 10am we had reached our first meeting point, where the team re-grouped and refuelled. At this point we were seven miles in and had 21.5 more to go! 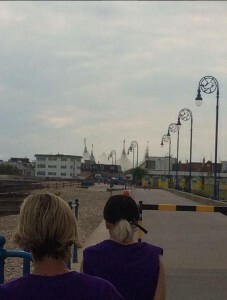 10.52am and we had reached Worthing. This was roughly 1/3 of the way and from here you can see the Skyline Pavilion in the distance! Little did we know we would be able to see the Skyline the rest of the way, yet it was still over 18 miles away! At 12.19 we stopped at Sea Lane Cafe in Goring. This was our chance to quickly have some lunch and a change of clothes and socks! The customers in the Cafe were really generous and donated lots of money but unfortunately we couldn’t stick around long! We still had over 15 miles to go and the sun was shining. This was our first point of having to walk on the shingle on the beach but luckily it was only a short walk to the path way. 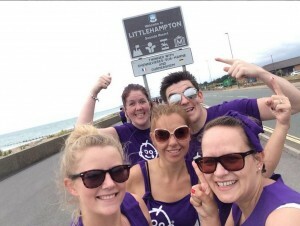 1.58 and we reached Littlehampton! Donations were flying in from generous friends and family as they followed our challenge on Twitter and local radio. The challenge of the walk was becoming harder and some of the team were starting to struggle a little. Due to the nature of where we work, the team that we hire are always positive and have a smile on their face so as a team we helped each other keep a good morale and keep going! 14.30 and we had reached our next stop! We pitched up outside the Arun View and allowed ourselves a 10 minute break to get some snacks and tend to any forming blisters! By this point we were 21 miles down and only had 7.5 to go! 15.45 and we had reached the bit between Clymping and Elmer sands where for over a mile the team had to battle on over the shingle. 16.00 and we passed one of the team’s parents house! Her lovely mum came out to meet us with Ice Pops to cool us down! 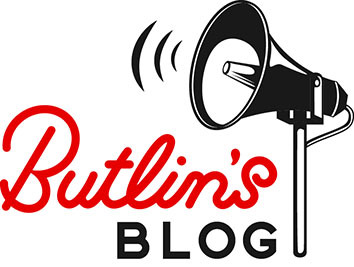 This was a great help for our team, who by this point were really looking forward to getting back to Butlin’s. 16.47 and the end was in sight! I think it was safe to say that everyone was feeling it at this point! 17.15 and we had made it! 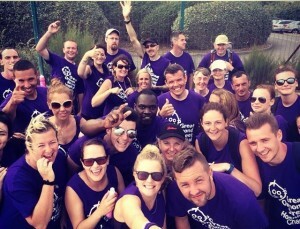 Still 37 strong and over £5000 raised we reached Butlin’s! As we arrived we were welcomed back by many proud team, Redcoats, family and our very own Ludo! 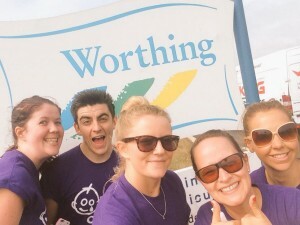 On behalf of all the team involved, I would like to say a massive thank you to all of you generous people that donated and supported us through the walk! 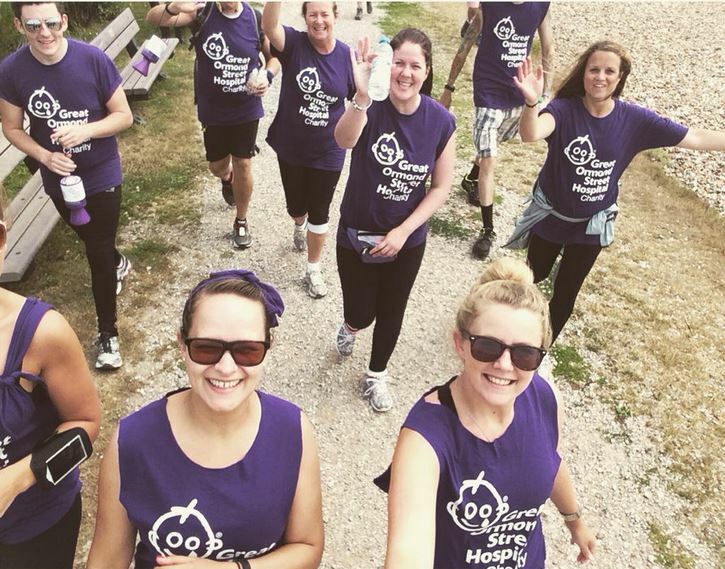 We were all really proud to have raised such a significant amount and complete the 28.5 mile challenge but could not have done it without you. 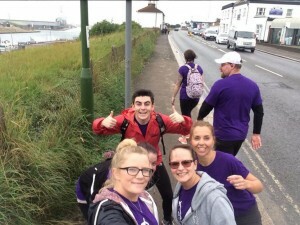 If you would like to donate to GOSH please text BUTL36 £3 to 70070.